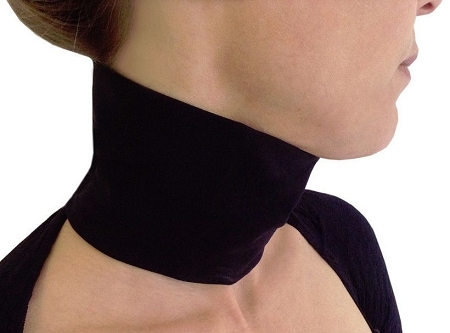 Bioflect® Far Infrared Therapy Neck Scarf Wrap is a unique design that allows for multipurpose use. Easy-on neck scarf wrap delivers therapeutic far infrared therapy. Features everlasting earth minerals woven into the DNA of the fabric. Exclusive FIR therapy material retains its healing benefits for the lifetime of the garment and cannot be washed away. The FIR therapy fabric reflects the body's energy back to the body in the form of infrared,helping to boost slugglish circulation and alleviating conditions associated with pain. Soft microfiber is doubled with no raw edges.